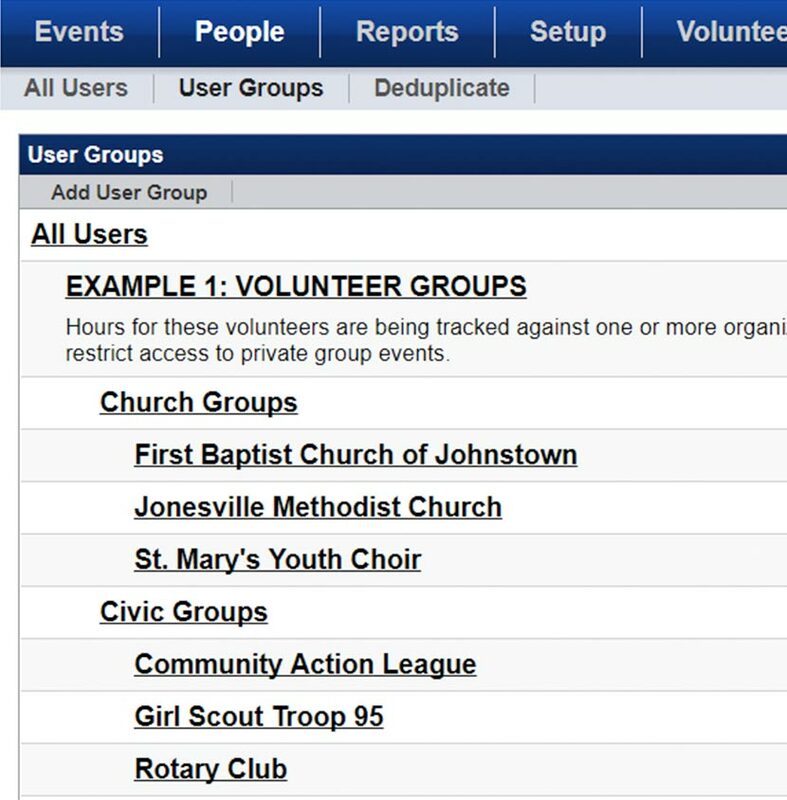 Manage multiple groups of volunteers for different events with Team Organization. If you would like people volunteering for a particular position to be trained in CPR, only those identified in the CPR-trained user group would be able to register for that event. 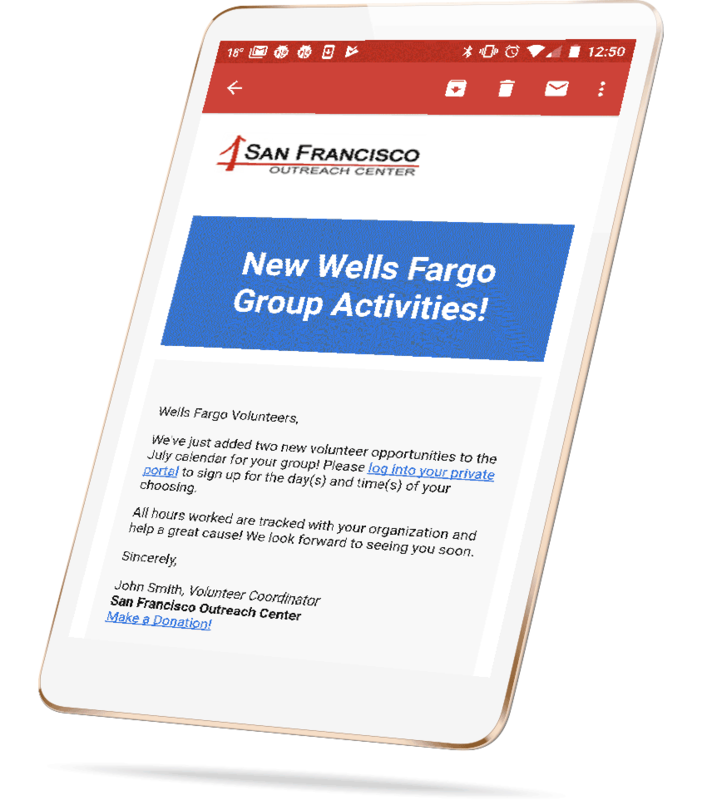 Similarly, many organizations have companies that would like to send a group to volunteer together. This feature would only allow those identified as being part of the company to sign up for the slots reserved for them. 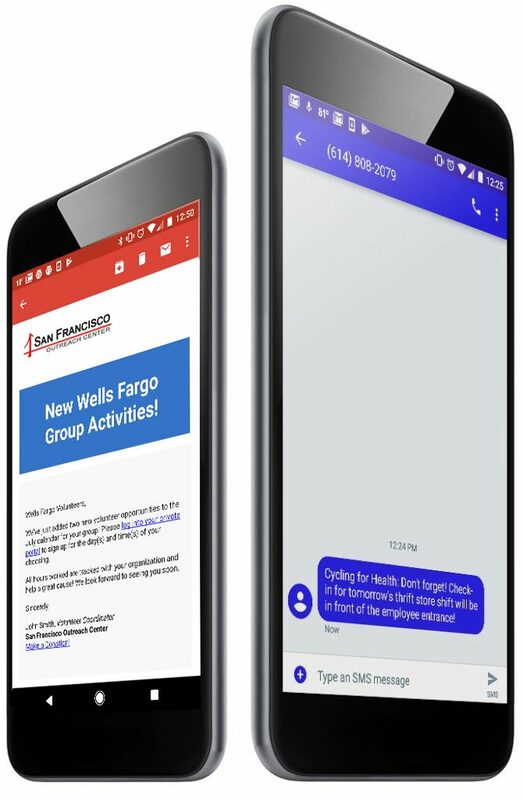 Streamline Volunteer Communications. 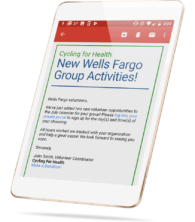 Easily communicate with your user groups by sending targeted messages to volunteers with a specific skill set or interest about events or other details.